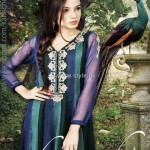 Kanache formal dresses 2012 were released some time back. These formal wear dresses are great for wearing to parties. They are made out of high quality fabric and the designs are really nice. Popular formal wear colors of all times have been used on Kanache formal dresses 2012. These include red and black. Traditional wear outfits are included in the formal wear collection by Kanache. A-line long shirts with trousers and churidaars are included in this formal wear collection. On the whole, Kanache formal dresses 2012 for women are not very fancy but they are still quite elegant. 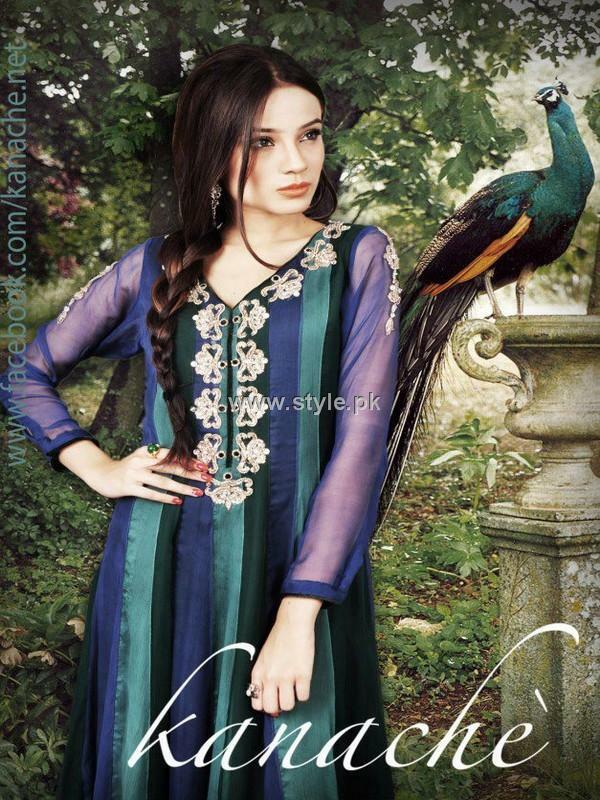 Kanache is a brand providing dresses that are a combination of contemporary and classic wear. The brand offers a wide array of clothes from casuals to formals. Although it is not very old, it is still popular especially among women in Pakistan. In fact, it was launched only a few months back. The main reason for its success is its superb designs. The brand offers stylish dresses made of high-quality fabric. It does not have an outlet as yet. Currently, it operates online. For getting the dresses of Kanache, people have to place orders for them through email. The pictures of some of Kanache formal dresses 2012 for women can be seen below. If you want to buy any of the items from among Kanache formal dresses 2012, then order them through email now. If you want the email address where you can place your order for Kanache formal dresses 2012 then go to the Facebook fan page of Kanache. The address of Kanache Facebook fan page is below. You can interact with the brand through this page also. Moreover, you can get the latest updates and other information about Kanache through this page on Facebook.